After years of developing and producing melodies for faster dance music San and Tac are proud to finally introduce Tactyl, a novel approach to their oceanic vibe. Here you will find a finely tuned sound influenced by liquid dub, glitch, and the rhythms of the local tribes of New Caledonia. 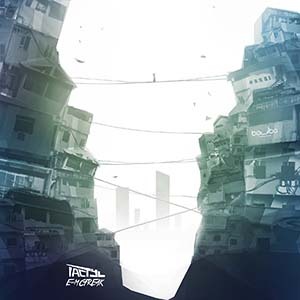 By mixing futuristic electronic sounds with organic instruments Tactly’s E=MCfreak is a captivating journey through the possibilities of an organic future. Released by Bowlba Records. MP3 Download | FLAC Download | WAV Download · Download count: 4,734. Glitchy and mysterious, just the way we like it ! Exactly the spectrum I was in need for. Lovely thing here!